Whether you decide to do this with a few close friends or your entire extended family (including kids, pets, partners, and that aunt you forgot you had) it always takes more searching, arranging and calendar-checking than you had anticipated. But, despite the stress of planning, these getaways result in joyful gatherings of long-lost family and friends reconnecting with one another and building memories. 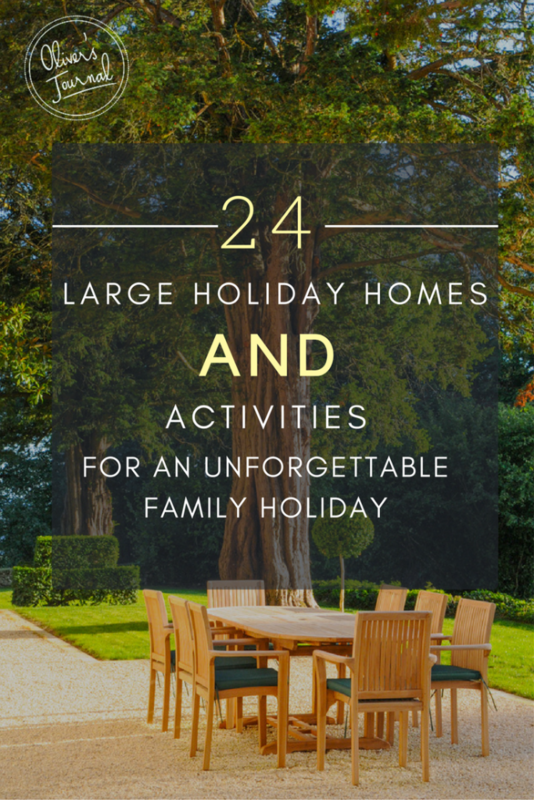 At Oliver’s Travels, we specialise in doing the tough bits of planning a big get-together so our experts have picked these 24 large houses, chateaux and villas to help you whittle down the options. The beach is always a hit for large families and groups – there’s something for everyone. And who can resist the sun-kissed allure of picnics at the beach, afternoon dips in your private pool, and plenty of water adventures for the young and young at heart. Your whole family will find something to love about these fabulous estates. 1. Head to Brittany for beaches and culture. Brittany, with its Celtic past and abundant cultural appeal, is the perfect place for a family holiday—and you’ll love the perks at Chateau du Moulin. Imagine lounging in your private garden watching the sailboats glide by in the English Channel below. The beaches of Dinard are just a short walk down a private path. 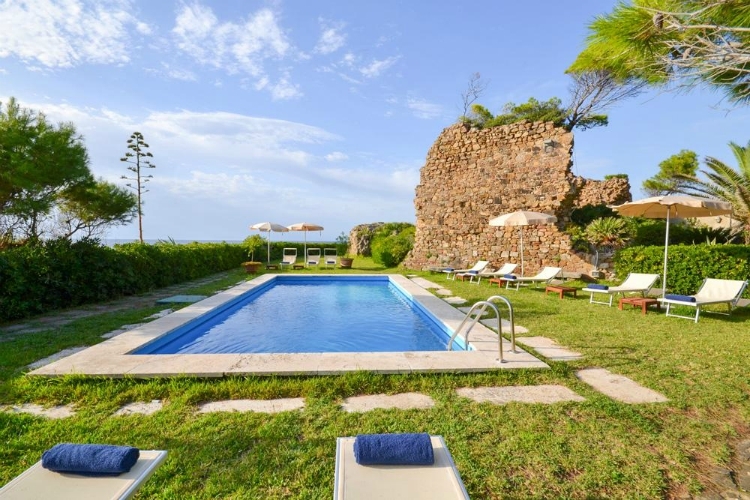 Bonus Feature: A private path leads from this historical villa directly to the seashore – no excuse not to take advantage of an early morning swim or taking a picnic to the beach. 2. Corfu offers swimming for all. What’s not to love about Corfu – the beaches, the sapphire sky, the chic Mediterranean vibe. 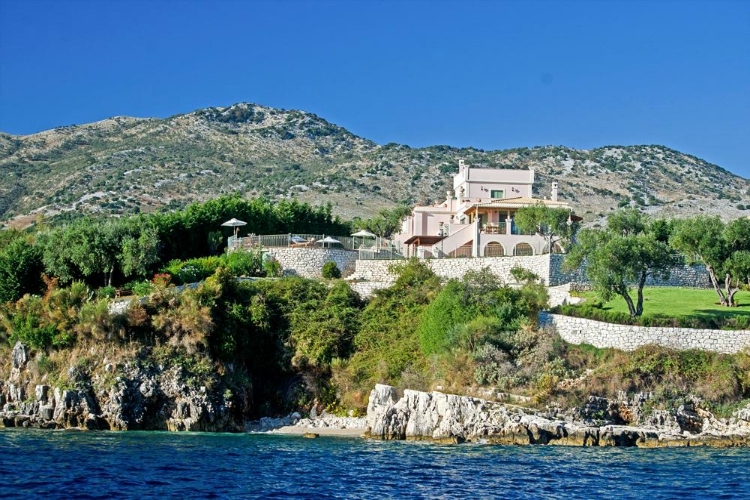 And Villa Athina is perfectly situated for holidays with kids, just a short drive to calm blue flag bays ideal for younger swimmers. Bonus Feature: The master suite has an en-suite with a jacuzzi bath overlooking the sea! 3. Relax on golden beaches in Portugal. The Algarve is one of the most desirable holiday destinations in Europe and Villa Lagoon captures its appeal perfectly. Located in Vilamoura, you can spend your afternoons in the villa lounging next to the infinity pool, or head to one of the golden beaches, before heading into the buzzing town centre for a wander around the cosmopolitan marina. Bonus Feature: The golf course is just off the garden—you’ll love the views from the pool and sun terrace. 4. Experience the crystal-clear waters of the Amalfi Coast. There’s nothing like the dramatic beachscape and picturesque views of the Amalfi Coast—and there’s scuba diving, sailing, tennis, and even horseback riding to tempt the outdoor enthusiast. Experience all this and more at Villa Serena – hidden amongst pine trees, on a tranquil piece of the Amalfi Coast. Take a private boat trip to Licosa, an extraordinary 6 km stretch of private coastline where there is crystal clear water ideal for snorkeling or just relax at the property’s saltwater pool. Bonus Feature: Your family will never get bored at Villa Serena. There’s table tennis, bocce, and even bicycles at the estate for your guests to enjoy. 5. Try Barbados for luxurious beaches. 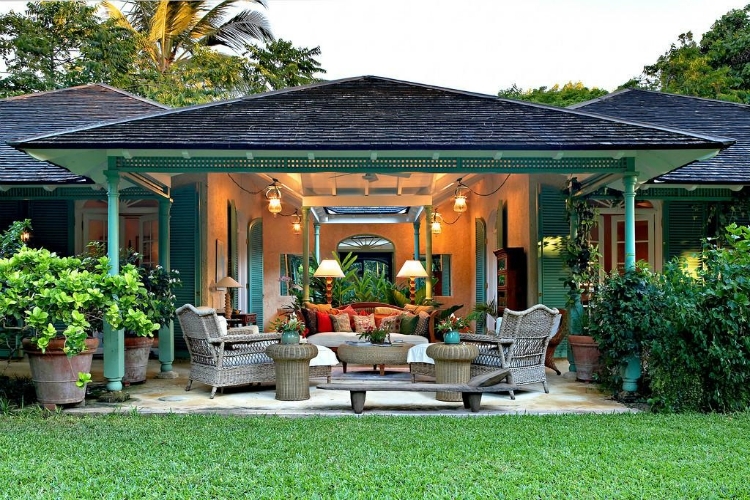 If the ultimate in Caribbean luxury is what you desire, Barbados is your holiday destination. Unmatched beaches, mysterious caves, and world class golf are at your doorstep and the best place to explore it all from is Fustic House. With a lagoon swimming pool and a quiet sandy beach just a 5-minute walk away, you’re spoilt for choice when it comes to places to doggy-paddle. Bonus Feature: Fustic House has all the extras – home theatre, indoor gym, game room, trampoline, and even a private chef—for an idyllic holiday escape. Some families crave more than just a week of luxuriating at the beach and pool – exploring local architecture, sampling regional cuisines, immersing themselves in new cultural experiences. If that sounds like your holiday group, here are some fabulous villas in top family-friendly destinations to please even the pickiest among you. 6. 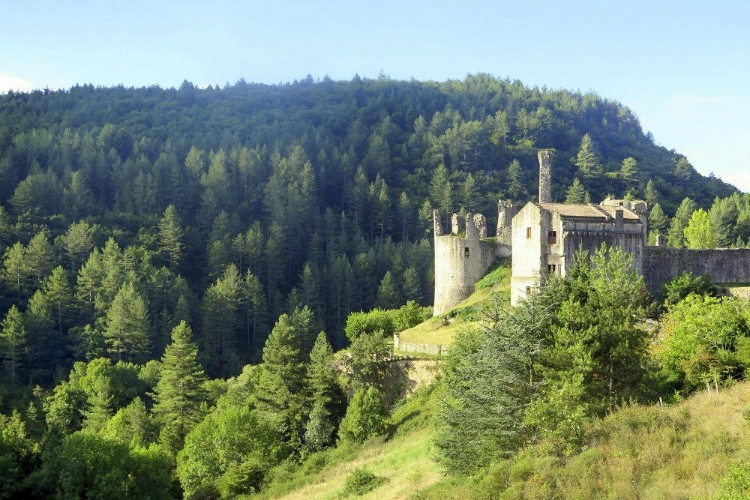 Discover Medieval relics in Tuscany. Nestled next to the quaint village of Anghiari with its farmer’s markets, restaurants, shops, and medieval relics, Villa Il Gufo exudes Tuscan charm. Wander through the estate’s olive groves, nap in the hammocks, and watch the kids tumble on the playground or swim in the private pool. Bonus Feature: Spend your evenings drinking Chianti and sampling local produce in front of the villa’s huge fireplace. 7. Go to Andalusia for beauty and history. Located just outside the historical town of Ronda, the gracious Llanos Resort brings the beauty of the Andalusian countryside to your door. If the gorgeous pool and drop-dead gorgeous views aren’t enough to thrill, the friendly farm animals roaming the grounds might do the trick. Bonus Feature: The projector screen for movie night and inviting jacuzzi will keep everyone in your group entertained and relaxed. 8. Dordogne is languid and laid back. Just five minutes from the picturesque village of Carlux, Chateau de Ruffiac sits in the heart of all the major Quercy and Perigord areas of interest. It’s the perfect location for experiencing French culture and get up to some leisure activities, such as boat cruises on the Dordogne, hot-air ballooning, canoeing and golf. 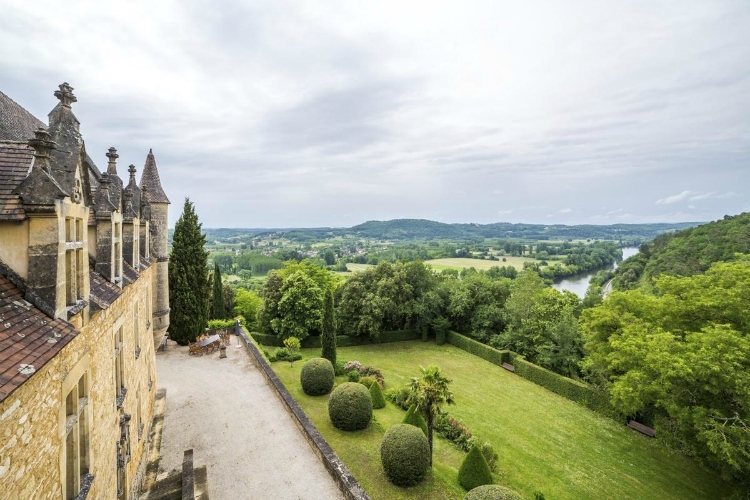 Bonus Feature: Perched high above the surrounding countryside, you’ll see – and be seen – far – from the towers of this chateau. 9. Stay in a piece of history in the Cotswolds. Darsey Lodge is a piece of history in itself, originally built to order by Charles II, you’ll be staying in opulent surroundings – you can even escape to the library if you need some peace and quiet. Bonus Feature: Lovely hiking and bike paths (bikes included) plus a heated outdoor pool and the Monet-worthy pond will delight everyone in your group. Trust us, they’ll be talking about your holiday for years to come. 10. Ireland is a quiet retreat. Ireland’s appeal is legendary and County Cork’s Shorecliff House captures it in spades. Glandore’s harbour, a charming fishing village, is next door and Shorecliffe House is just two miles from Leap in West Cork, a village noted for hosting rock bands and racehorses. Bonus Feature: Four separate lodgings (main house, mews house, apartment and cottage) mean maximum privacy. The tennis court, swimming pool, and jacuzzi are luxurious touches. For some families, only the most action-packed, adrenaline-drenched holidays will do – whitewater rafting, canyoning, mountain climbing, hiking, you need it all. If your family group needs to be always on the go, check out these adventure friendly estates. 11. 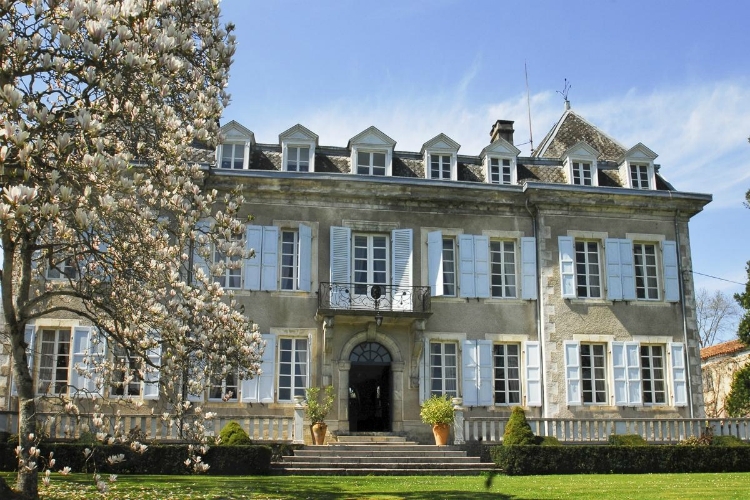 Stay in a chateau with plenty to occupy the kids. The Rhone-Alps region is a well-known hotspot for outdoor enthusiasts – riding, canyoning on the river, every type of water sport, and even fishing. 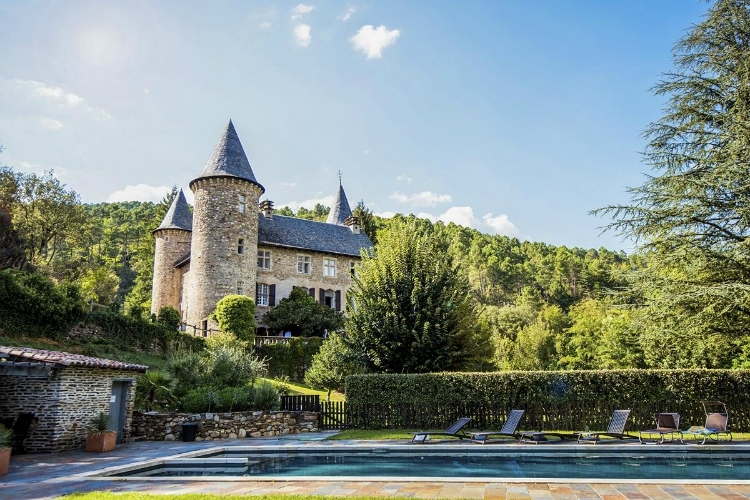 A protected Historic Monument, Chateau de Baloigne offers plenty of space for relaxation, as well as a river where guests can swim just 100m down from the chateau and table tennis to keep the kids entertained. Bonus Feature: There’s also a ground floor double room ensuite for your family members who might have trouble navigating the castle stairs. 12. Aquitaine is perfect for outdoorsy types. 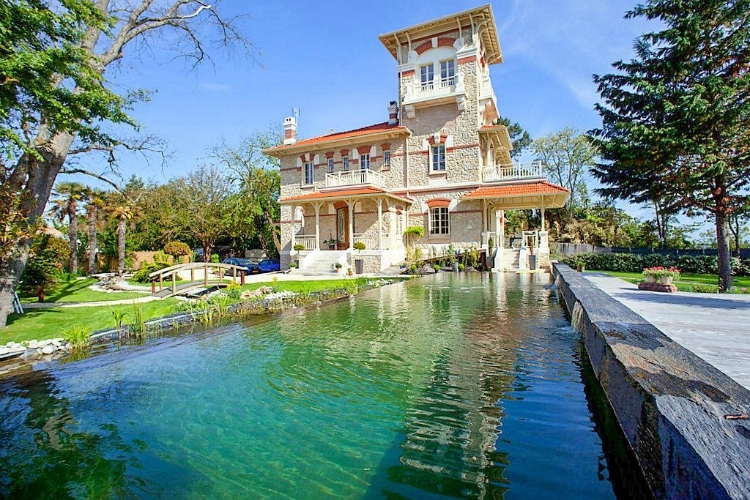 Villa Le Bassin is a coastal estate, featuring a petanque field, outdoor table tennis, and an ecological swimming pool is the outdoorsy type’s dream property for an extraordinary get-together. The garden leads to a beautiful sandy beach, where the beach thrill-seekers can swim, surf and sail the days away. For a truly thrilling experience, why not book a helicopter ride, or ask us about taking a trip with a local fisherman to one of his oyster parks. Bonus Feature: Bagsy the tower suite which has 360-degree floor-to-ceiling windows with sea and forest views – it is stunning! 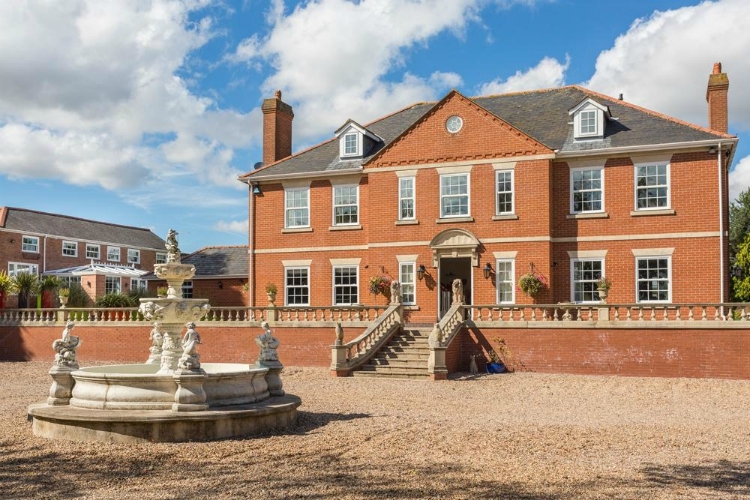 Highton Manor & Spa Estate is an oasis of calm and tranquillity where you can relish the ambience of a quintessential English country manor house. Hang about the wraparound terraces and imposing water features on the grounds, but also find those tucked away corners for some peace and seclusion. Bonus Feature: The manor’s Rosalyn and Colin are happy to help you host a bespoke and unique House Party experience. 14. Argyll has myriad activities for the family to enjoy. Excellent fishing, biking trails, golf, water sports, archery, shooting, swimming, canoeing, caving – it’s all waiting for you at Argyll Mill. You’ll never have a dull moment here. Bonus Feature: There are 12 bikes and plenty of routes and trails – enough for everyone in your group to enjoy cycling at Argyll Mill. Don’t forget the tennis court and waterfall with rope climb to a private pool – the perfect escape for families looking for an adventure. 15. The Pyrenees aren’t just about skiing. Adventure is what it’s all about when you holiday in the Pyrenees – whitewater rafting, paragliding, mountain climbing, hunting and fishing, even skiing in winter. Chateau Glycines is even on the Tour de France route for all the cycling enthusiasts. Bonus Feature: There’s 22 gorgeous acres plus a croquet lawn surrounding the estate. The cosy barn packed with toys and games will keep youngsters entertained all day long, even when it rains. The housekeeper is a welcome touch for mum. Celebrating a major event or family milestone? Looking for a memorable place for an engagement party or 50th wedding anniversary? These villas and chateaux have everything your family could want – picturesque scenery for arresting family photos, luxe accommodations, and party-friendly extras to make your holiday a lifetime event. Finca Abogat is a refurbished orange farm just outside the peaceful village of Barxeta, where you will find a small selection of shops, restaurants and exceptionally friendly and hospitable locals. 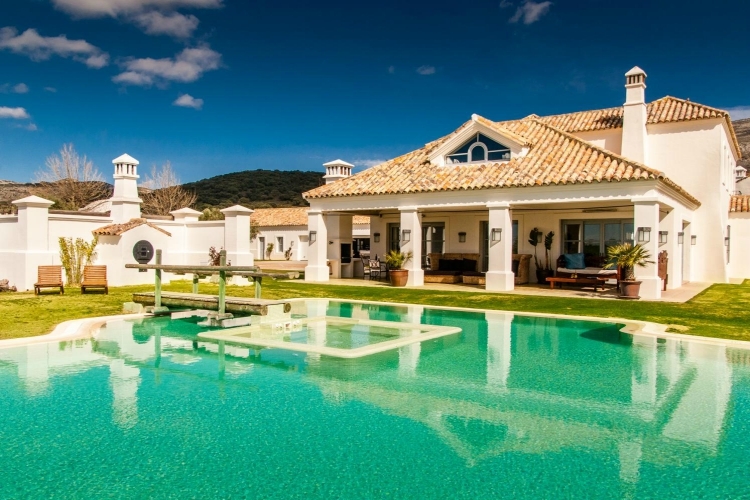 This villa is colourful and appealing for people of all ages with its spectacular views, lovely private swimming pool and acres of space for children to run around and play. Bonus Feature: Finca Abogat is close enough for a day trip into Valencia where you can walk along the colourful promenade, stopping off for a delicious lazy lunch. 17. Edinburgh is the place to party. 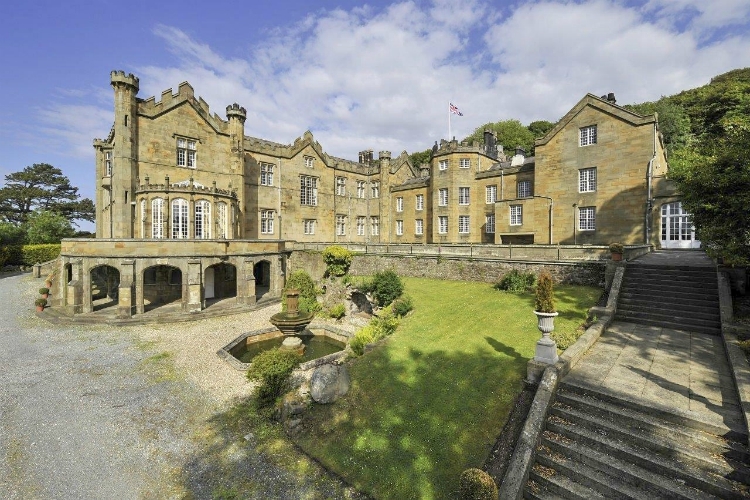 Linton Lodge is the epitome of a “party house” and it’s just 20 minutes from Edinburgh. This arresting 7,800 square foot lodge is a techie’s dream come true with 10’ x 10’ projector screen, PlayStation and games, and HD Sky movies. Bonus Feature: There are so many reasons to love this place, the house is so grand it sleeps 26 with music stretching across 3 floors. You can bask in 2 outdoor thermal hot tubs to relax and watch the stars. Make the most of the champagne bar, games room and karaoke lounge – it will be a night to remember. Bonus Feature: The beautiful Blue Flag sandy beach at Prestatyn is just minutes away and is a great way to spend a sunny day! 19. A hilltop retreat is an enchanting setting for a celebration. Domaine de Bagatlle is ideal for a large family party. Manicured gardens, fountains, elegant courtyards, and to-die-for views will delight your entire group. 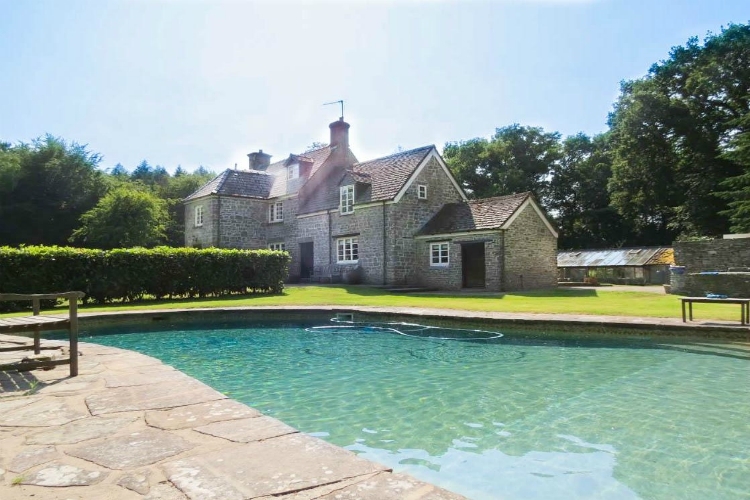 Bonus Feature: This spacious estate has a heated pool and walled gardens with gracious grounds for a relaxing stroll. Kids will love exploring the park and playing table tennis. 20. 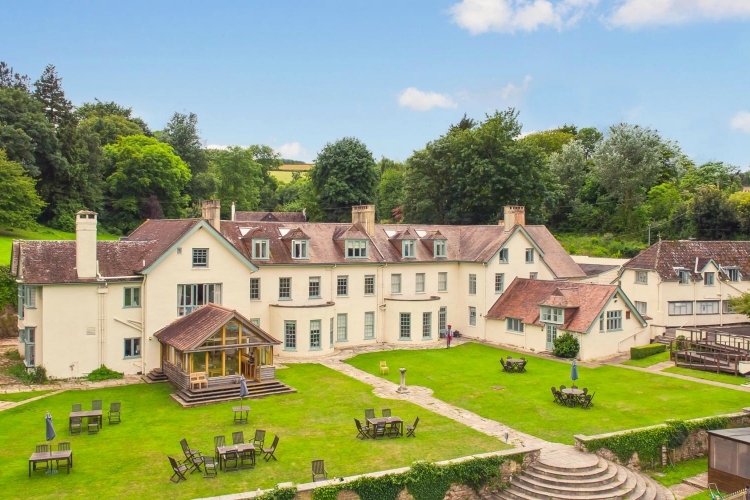 Take a relaxing break at a Somerset estate. 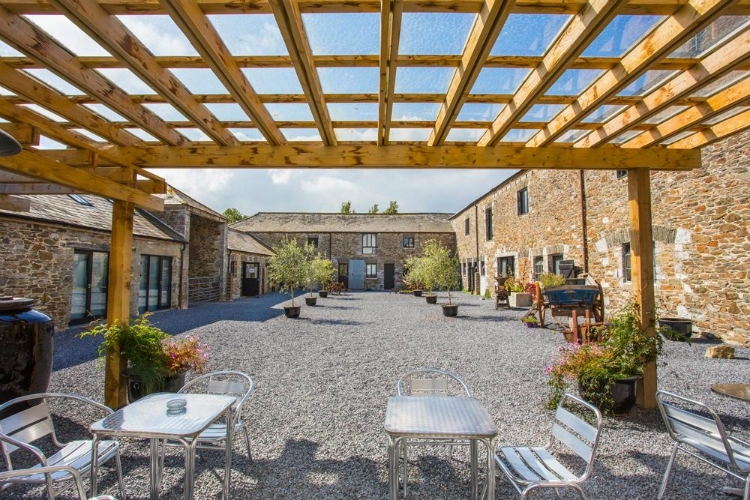 With accommodations for up to 60 guests, Little Oak Hall is far from “little”- and features a heated outdoor pool (how many of them do you find in the UK?!). There’s also a jacuzzi, spa, saunas, and a dining room that seats 75. It’s available for self-catering or fully catered holidays. Bonus Feature: Little Oak Hall is right in the middle of a National Park with acres of space to explore and enjoy. There’s also a licensed bar for parties or even corporate functions. The gorgeous garden terrace is perfect for cocktail parties. We’d be remiss if we didn’t offer something for the truly food-oriented family who lives for authentic foodie experiences. 21. Try proper Devonshire cream tea. If you want to explore the roots of Devon food culture, this former dairy farm is calling your name. Featured in our Best Foodie Breaks in the UK article, Landscove House offers a huge range of catered options. It’s also perfectly situated in an area famed for the Ashburton Delicatessen and of course, Devon cream teas. Bonus Feature: Rent the Landscove Barns, too, and you can delight up to 36 guests with the finest foodie holiday. 22. Try wild boar in Languedoc. The Cevennes mountains are famed for wild boar, chestnuts, and mushrooms, which can be bought locally at the amazing Chamborigaud market every Sunday in the summer months – truly a foodie haven. Chateau Chamborigaud itself is a Disney-style castle with impressive turrets and a large heated outdoor swimming pool. It’s set in 5 acres of parkland where you can spend an hour or two building up a hearty appetite. Bonus Feature: There’s a poolside kitchen with a covered eating area – perfect for a large family gathering or even an intimate wedding. 23. Umbria is full of gastronomic delights. Umbria is the place to be if you’re looking for gastronomic delights. From wine tours and truffle hunting to fantastic restaurants and courses where you can learn to cook your own pasta, it should be on every foodie’s destination bucket-list. And the best place to stay? Villa Francis offers everything you need for a big family celebration; a large swimming pool with hillside views, beautiful gardens, and even a hot tub. It’s a 12th-century monastery which has been renovated yet still includes original features such as stone walls and wooden beams. Bonus Feature: The villa consists of 7 apartments which each have their own entrance and en-suite, so there’s plenty of privacy. 24. And lastly, Mallorca’s seafood is worth a party. The undiscovered gem that is Mallorca’s wine industry is a must-visit for oenophiles everywhere. Callet and Mantonegro are made with grapes unique to the island, and they’re pretty wallet-friendly too! The seafood is as fresh as it gets, and the lobster stew known as calderata is one of best ways to get a taste of the ocean and the modern kitchen at Puerto Ponenta is a fantastic place to cook up a storm. If you feel like heading out to eat, we have plenty of recommendations. Top of our list is the Michelin-starred restaurant Stay, which is only 7km from the property and has a fantastic view overlooking the bay. Bonus Features: The villa has a large swimming pool and a jacuzzi, with a short 2.3km distance to the nearest beach – a great way to please the water babies of your family! Ready to Get the Planning Started? So there we have it, 24 large holiday homes; stunning villas, houses, and chateaux fit for any type of family holiday, reunion, gathering or party. So if you’re ready to get the planning started, just fill in this quick form and we’ll help find the perfect place for your next big holiday.